Thanks to our partners at Summit City Bicycles & Fitness for sharing their expertise on the process and importance of a proper bike fit. Store Manager, mustache wearer, and lead bike fitter, David Coar, shared this contribution and the philosophy practiced at the SCB fitting studio. Rule 1: Bike fit is a marriage between bike and rider. If the two are incompatible, the marriage will fail. Rule 2: Make the bike fit your body; don’t make your body fit the bike. It’s easy to adjust the bike but difficult to stretch or contort your body into some pre-conceived “ideal” position. Rule 3: Cycling is an activity of repetition. At a cadence of 90 revolutions per minute, a three-hour ride will have you doing over 16,000 pedal strokes for each leg. That’s a lot of repetition. Worse, each pedal stroke is almost identical. As a result, a minor misfit can lead to major problems over time. That’s why fit is so important. 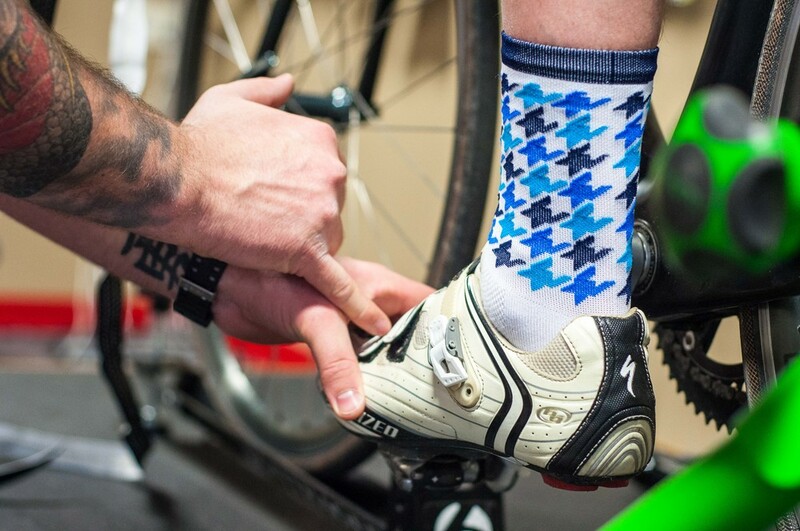 This introduction provides a great place to start on the topic of bicycle fitting. Think of purchasing a bike as similar to purchasing a cell phone. The phone you’ve purchased comes with default settings and apps and now your goal is to tailor the phone to fit your specific needs by changing features and installing additional apps. Fitting a bike is much the same. When you purchase a bike, the size of the bike is determined by your overall height. 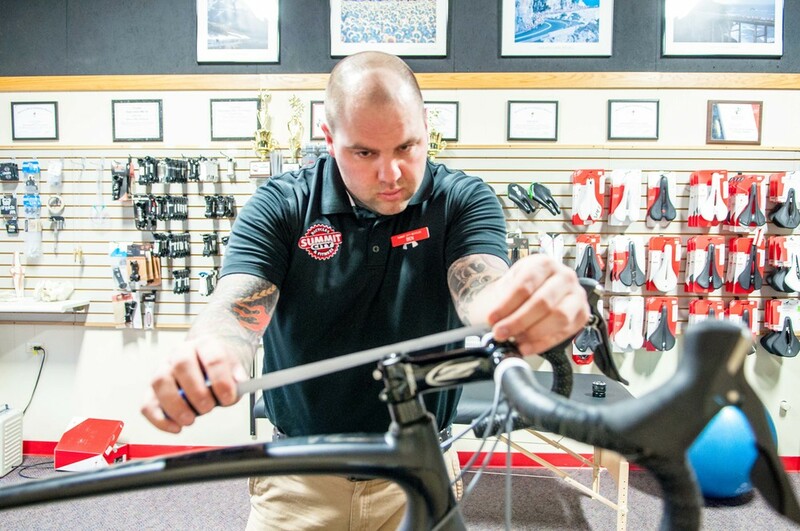 During the bike fit procedure, your bike fit professional will make the necessary adjustments to make your bike fit you and your specific biking needs. 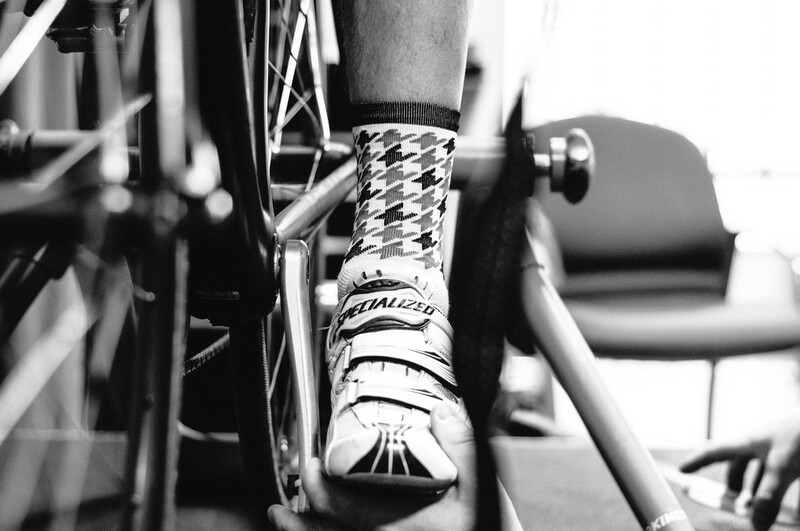 When the fit is complete, Andy Pruitt’s three rules of bike fitting have been accomplished. The first step in bike fitting is for you (the rider) and the fit professional to discuss your personal riding habits. This discussion includes how many years you’ve been riding, your riding style and future goals for riding. Next is a conversation about current medical and/or physical conditions that might influence your experiences on your bike. 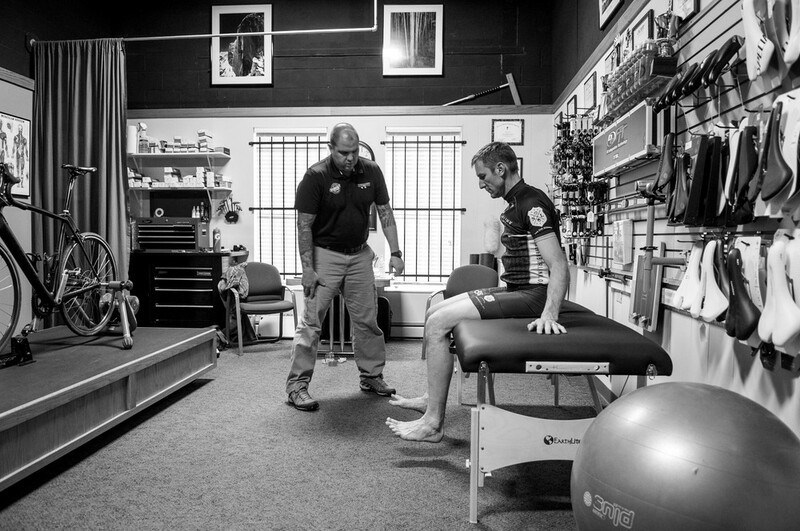 Once the rider consultation is completed, the bike fit professional will guide you through a comprehensive physical to get the best idea of how each part of your body functions, paying close attention to range of motion in critical muscle groups. This will give the fitter an accurate snapshot of personal body type, possible limitations and how your body will work best on the bike. Using the information gathered in the previous steps, the fit professional will now get you on your bike, take notes on your current positioning and explain the process of fitting your bike to you. First, the fitter will begin with your lower torso, legs and feet, setting the bike for proper leg extension, saddle fore/aft position and appropriate cleat alignment. Next, the fitter will move to the upper torso, and make proper adjustments to the bicycle to accommodate for arm length, grip position, etc. Most importantly, the fit professional will also teach you proper technique and educate you about how your body actually interacts with and functions on the bike. Because this instruction gives you information specific to you, it is crucial to a successful bike fit. The bike fit is over only when you and the bike fitter agree that a good marriage has been reached on the bike. The fitter will record crucial landmarks on the bike for future reference and explain that future adjustments might be needed once you have ridden the bike for a period of time. Future adjustments are part of the fit process and necessary in order to fine-tune the bike fit. The bike fitting team at Summit City has four experienced fit professionals, including a female bike fitter (who has experience specific for women bikers). Fittings are done by appointment only and can take approximately three hours so the fitter can focus on your individual needs. 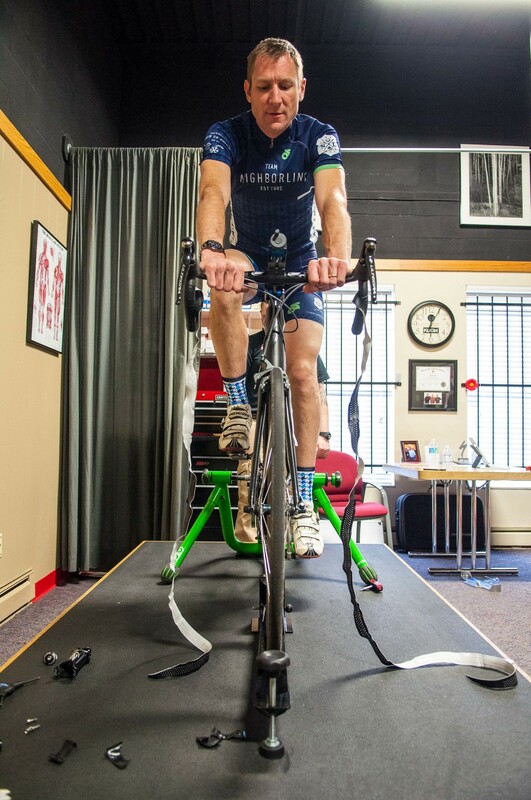 More comfort, more power, more speed: All this can be accomplished through a professional bike fit at Summit City Bicycles.